Note: I read this book on my iPad's Kindle app! It was great to be able to read it and use the annotation features while preparing for this review. 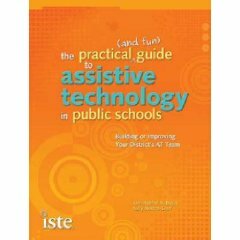 Chris Bugaj and his colleague Sally Norton-Darr have penned an informative (and indeed, fun to read) guide to the role of Assistive Technology (AT) and its practitioners in the school setting. AT, a still-emerging discipline, is likely an area that is blurry or unfortunately non-existent in many school districts, so the authors aim to not only clarify that but also empower readers to create an AT team if none exists. That said, you should not be scared off by the title of this book if the idea of creating something from nothing within your educational setting seems a tad ambitious for your taste. The book will still provide a treasure trove of valuable information about AT and how it shapes our practice as therapists. Specific details of the AT Specialist’s job description, as well as pertinent terms and definitions. Examples of technology tools, accommodations, and strategies that might be recommended for hypothetical students (very informative for SLPs and OTs who are also asked to make such recommendations). Popular misconceptions about AT services, and the relationship between AT services and IEP goals. Items in every AT’s toolkit (also might be helpful to have in yours). Where to look to learn more about Assistive Technology. The AT consultation and evaluation process (there’s a difference between the two!) and how to work with teachers once these are complete. The book wisely does not focus excessively on examples of specific high-tech tools that one should recommend for students. I say wisely because these have probably changed since my last breath (and because, of course, it all depends on the student’s needs). What was really helpful to me, though, was the authors’ broad view of technology, and inclusion of many low-tech tools such as posters and document holders. I have been thinking of including such non-CPU-dependent examples of technology on my own blog, and this was really validating and inspiring. 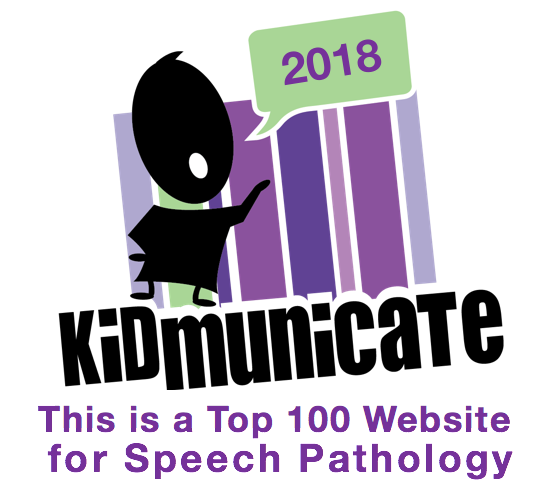 All in all, I think The Practical (and Fun) Guide brings an important perspective that should be considered by all therapists who participate on IEP Teams, and can especially inform our consultation with their teachers, a piece of our service delivery that in my opinion is often more important than how many times we “see” students.